How will you market my property? Will you advertise it in the local newspaper and on the internet? Marketing is always our top priority. A copy of our market plan is available on request. Not only will your home be on the internet, but it will be several different high traffic places both locally and nationally. Where will consumers see my home on the internet? "Websites Are Billboards In The Middle Of Nowhere!" Most Real Estate Brokers have a website, but most don't have any idea of how to use their internet presence, or how it can benefit you. When you list your home with Neu Real Estate, you are listing your home with an E-Pro! Your home will appear on several different locations on the World Wide Web. In addition to our website at www.NeuRealty.com, here are just some of the sites that we will put your home on: www.Realtor.com, www.MSN.com, www.AOL.com, www.RMLS.com, www.RegisterGuard.com, www.Google.com and many more. When it comes to the internet, don't let "bells and whistle" sell you. "There is no better exposure on the internet than what is listed above." Cheryl & Cory are full time Realtors®. Not only are we full time, but most of our extracurricular activities serve to further our knowledge and effectiveness in the profession, as well as helping to protect your private property rights. We are active members of the Eugene Association of Realtors & the Regional Multiple Listing Service, and have held several different elected and appointed positions both locally and at the state level. Every quarter the State of Oregon publishes the Oregon Real Estate Journal. This makes public all reprimands, revocations and suspensions of all the real estate brokers, property managers and title companies in the State. Neu Real Estate has never received any derogatory, and has been in good standing with the Oregon Real Estate Agency since its existence back to 1980. Are you also a Realtor®? Not all real estate brokers are! As mentioned above, we are active members of the Eugene, Oregon & National Associations. Only members of the National Association of Realtors® can call themselves Realtors®. Realtors® abide by a strict Code of Ethics, and no body does more to protect the citizen's private property rights in the State of Oregon or Nationally. Are you a Sales Associate or a Broker? As opposed to most other states, Oregon has two licensing categories. Associate Brokers are new in the business, and will be required to get further education to obtain a Broker's license within 3 years, and Brokers who have the required education and experience. There is no Sales Associate category in Oregon. Agents at Neu Real Estate far exceed the number of continuing education hours required to renew our Broker licenses every two years. Our team has over 40 years combined experience. 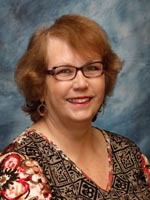 Cheryl Neu has had her real estate license since 1972 (Broker since 1980). 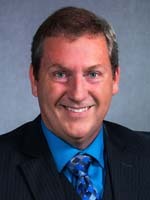 Cory Neu has been licensed since 1994 (Broker since 1997). As a team it is useful getting Cheryl's years experience along with Cory's fresh perspecitives. How well do you know the area(s) I'm interested in? Neu Real Estate works in all areas of Lane County. About half of the properties we list are rural residential, and the other half are mostly in the cities of Eugene and Springfield. We belong to the largest MLS in the State of Oregon. We've recently sold property From Eugene, Springfield, Mohawk Valley, Pleasant Hill, Coburg, Harrisburg, Veneta, and even Roseburg. How many other clients at a time do you represent? Some larger companies will tell you that the busiest agents are usually the most efficient. We don't believe that here. We regularly get clients who felt like they got lost in the shuffle at the larger offices with the high producing agents. Remember, just because an agent or company lists a lot of property doesn't mean they sell a high percentage of them. Did you know that Re/Max, the largest company in Lane County, accounted for 438 listings that Failed To Sell in 2002. That's 31% of their total listings in 2002. Neu Real Estate was 100% sold in the same year. The point is, don't pick your agent because of the company they are with, pick them because of their results and their marketing plan. Will you handle all aspects of my transaction, or will you delegate some tasks to an associate or administrative assistant? We work as a team. As with all teams each member has strengths in certain aspects of the profession. We are consistently assessing our strengths, and assigning tasks accordingly. When you hire Cheryl Neu Real Estate, you get two Realtors® working on your behalf. Can you provide me with the names and contact information for three recent clients from whom I can obtain references? There is no better reference than being in the business for as long as we have. Neu Real Estate was built on referrals. Out of respect for our client's privacy, we don't give, sell or distribute any of our client's information to anyone. In this business, you can't be around for as long as we have been without doing a great job, and getting great referrals. Neu Real Estate is a full service office. We charge a 6% commission for our services. There are several companies that offer discounted services. Remember, discounted services always means Less Service, and you might save a thousand dollars in commission while losing several thousands in price and/or marketing time. Can you give me a comparative market analysis (CMA) of recent sales in the area and homes currently on the market? We can give you any and all of the information that you need to come up with a good estimate of what your property will sell for, and what a good asking price might be. Note: it is always a good idea to remember that real estate agents don't decide what your home will sell for. The market is always the deciding factor on that. Again we sell houses in all areas of Lane County, and on certain occasions outside of Lane County. Being a small company we may not be able to show you a large figure on this one depending on the area. However unlike the Franchise companies, 30% of our listings Don't Fail!